A Holter monitor is a heart monitoring device that captures and stores the small electrical signals from your heart and displays the rhythm of your heart in a graph called an electrocardiograph. It is a really useful way for a doctor to check if your heart is working properly and detect many heart problems that require treatment. Who can purchase a Holter monitor? Holter monitors are usually purchased by hospitals and doctors such as cardiologists although an individual can buy one as well. Holter monitors are usually quite expensive, some costing thousands of dollars each. Although it’s a great investment in your health, traditional monitors are not only costly but more importantly, difficult to use without a healthcare professional who was trained to place the complicated web of wires and patches correctly. QardioCore offers an easy and affordable way to monitor your heart and collect heart health data on the go. How much does it cost to buy a Holter monitor? Medical quality heart monitors such as Holter monitors are quite expensive and can easily cost thousands of dollars each. Traditional Holter monitors also require new patches for each use and conductivity gels to ensure good contact with your skin. If you are considering an investment into your health health, QardioCore offers medical grade ECG monitor that is not only affordable, but also does not require further investment into new patches or gels and can be fitted easily without the need of a trained healthcare professional. See if QardioCore is available for purchase in your country. What to consider when buying a portable ECG monitor? Ease of use. Many heart monitors require professional fitting to ensure wires and patches are attached correctly and in the right places. 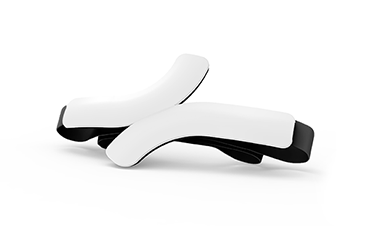 QardioCore straps easily around your chest, eliminating a trip to a doctor’s’ office. Portability and size. Traditional holter monitors prohibit showering and more intensive activities that might pull the patches away from the skin and compromise the quality of the signal captured. QardioCore is sweat-proof, can be removed for showering or swim. Comfort. If your daily lifestyle doesn’t allow for wires under your clothing or uncomfortable patches stuck to your skin, you might find traditional heart monitors difficult to wear. QardioCore is not only free from wires and patches, but it doesn’t need the memory box necessitated by traditional monitors as it uses a smartphone to store the data. Accuracy. Also check if the ambulatory ECG monitor has appropriate medical clearance in your country, such as the FDA approval in the USA or CE Mark in Europe. Price. You cannot make a better investment that in your health but balancing between price, quality and easy of use should be part of your purchasing decision. Consider how often you are likely to use it and calculate which heart monitor gives you the best value for your money. 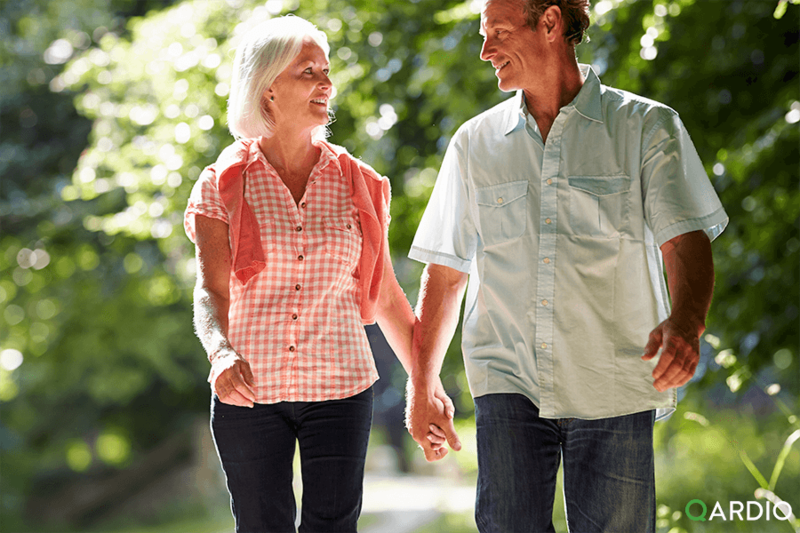 What’s the benefit of owning a Holter monitor? Most Holter monitoring tests are ordered by a doctor but are not a part of a preventative care, which means that in many case such a test is performed only after a heart problem has developed. For those who want to take charge, track changes in their heart performance over time and detect a possible problem before it develops into a serious condition, ongoing or frequent heart monitoring with a personal holter monitor is the only way how to create a comprehensive history of heart health. What’s the best Holter monitor for an individual use? Everybody has their personal preference but when choosing a Holter monitor for your personal use, consider what the important features you require are to fully benefit from your purchase. Traditional heart monitors require professional fitting each time you want to do a Holter monitor test. They cannot be removed during the testing period and are not waterproof. Are you willing to adjust your lifestyle accordingly? If not, you might want to consider some of the more innovative ways to look after your heart. When it comes to easy of use, comfort and affordability, QardioCore offers the most advanced alternative to the old fashioned monitors today. QardioCore is a continuous ECG monitor that doesn’t require wires or patches and, unlike traditional Holter monitors, doesn’t require professional fitting and allows you to view your data on your smartphone. And although you will still need your doctor to review your data to perform diagnosis, Qardio App allows you to email a short snippets of your data and grant data access to your doctor quickly and hassle-free.